Chrichton's World: Review Star Trek: Discovery Season 1: Not entirely my Star Trek but it did sort of got there! Review Star Trek: Discovery Season 1: Not entirely my Star Trek but it did sort of got there! Star Trek: Discovery is a prequel to shows and films that were vastly different in tone and intention. If you are a big Star Trek fan like me you can't help but feel a little alienated at first. However in the end the first season will put you on a journey that is worth it. Of course it will require a lot of adjustment and suspension of disbelief to get there but during the journey you won't be able to deny that this show does have some merit especially entertainment wise. Some of it's cast and storytelling is exceptional. Now Star Trek always had been about the characters and how they act and react to the new wonders and dangers they are confronted with. So that hasn't changed. However it's much more darker and dramatic. There is still some science and philosophy but it's nearly not as essential as it used to be. Is that a bad thing? Depends on who you ask. I am an old school fan so I for me it's definitely something I am not happy with. A lot of what Star Trek explored whether it was theological, philosophical or cultural was what made it so great. The food for thought element was profound and to have that diminished is a hard pill to swallow. Although there are story lines where you get some substance to chew on. Unfortunately you will have to contend those moments to be interjected with a lot of action and other ways of excitement. Mind you the choreography of the action is superb and the spectacle is divine. And it's only fair to say that Star Trek: Discovery looks phenomenal. It looks and feels a whole lot better than J. J. Abrams's Star Trek. The whole cast of Star Trek: Discovery is top notch. Compared to the old shows there are not that many to begin with but that turns out to be a good thing since it allows you to get to know some of them well enough. Especially main character Michael Burnham gets a lot of attention. Sonequa Martin-Green (who you might know from The Walking Dead) gives it her all and makes you want to root for her all the way even when the actions of her character are questionable. She is not perfect. Far from it. And it is refreshing to see that her actions have real serious consequences. What do I think of her connection to Sarek and Spock? They way it's done in the show it's done with respect. However you won't be able to stop thinking how it's possible that in all this time we have never heard of her. And the events in this show only make it weirder since her importance is huge. I am curious how they will address it in the future. Michelle Yeoh and Jason Isaacs have very significant roles in case you were worried they were just thrown in for good measure. Real surprises are Shazad Latif as Ash Tyler and Anthony Rapp as Paul Stamets. They were able to give their characters some depth within the little time they were given. Star Trek: Discovery is a very entertaining show full of twist and turns and familiar mythology but presented very differently than before. It's an ideal show to binge-watch especially for casual fans who aren't that familiar with Star Trek. 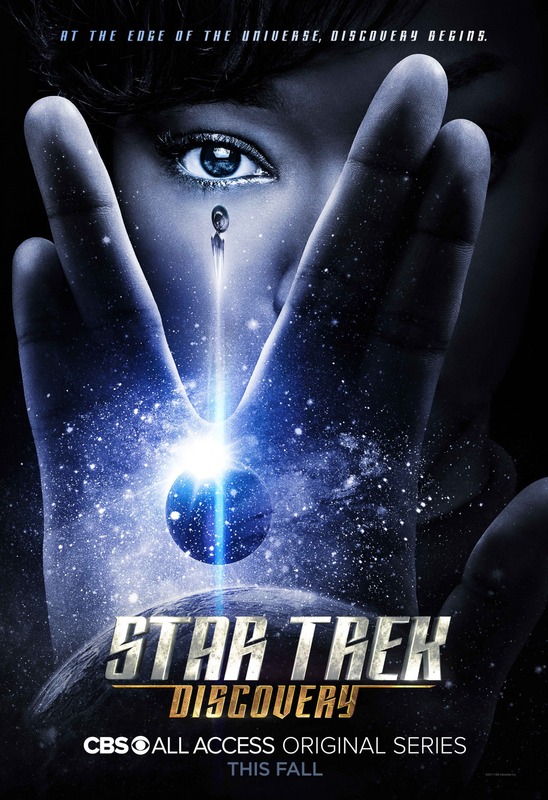 For a lot of fans this show will be seen as a travesty but the ones who are capable of letting go of what they know will be able to find some of the Star Trek they love and adore. Give it a chance. And by that do watch the entire season. Since only then will you get the complete experience.